Application integration within the organization. Business integration over multiple organizations. A business needs to dynamically manage business relationships so that they can keep their customers. A business needs to be accessed from all over the globe and at any point in time. This should typically be from the same interface and the same response time should be experienced. Fast response time is an evident requirement. The faster one customer is served, the quicker the next customer can be dealt with. Present the proper information to the correct people. Present this information in the proper format. Have the necessary information available when it is needed. Be able to change the information as needed. A business needs to be able to manage knowledge efficiently and share this knowledge as well. Technical risks: Integration solutions have to operate correctly and it has to do what it was assured or promoted to do. Operational risks: The solution must meet the business requirements of the specific business, and also cater for business expansion. Political risks: The solution has to be accepted by the main players within the organization. Financial risks: There is no point in a solution meeting all business requirements but at the same time, it is too expensive. The BizTalk Framework is a universal translator that enables systems to scale over organizational boundaries. The BizTalk Framework uses message passing using XML and XML-based schemas. This meets a number of interactions between systems or organizations because XML provides a common document representation that all parties can understand. The BizTalk Framework describes the data to be transmitted between computers. In fact, XML-based message passing between different platforms is the successful integration solution. XML is also a platform-independent standard. The application or operating system being used is not a hindering factor. The BizTalk Framework is the tool that can be used to assist you in adopting the XML solution. The main goal of the BizTalk Framework is to handle the data exchange process between businesses and applications, where the XML standard is being used. The BizTalk Framework can map one XML format into another XML format. Platform-independent communication protocols deal with communication between applications and organizations. Platform-independent security provides data privacy and data integrity for the data being exchanged. Provides a universal language to describe information and package information. Structured forms of information and unstructured forms of information are provided for. XML-based solutions are easy to implement. XML-based solutions are also not expensive. Applications can be added to the organization, removed from the organization, or upgraded without incurring high integration costs. The application only needs to be able to process XML. Build opens standards by using XML for data exchange. Uses a business-to-business model to integrate with business partners. Uses an application-to-application model to integrate heterogeneous environments over multiple applications and platforms. Uses existing systems and mainframes. BizTalk Server uses the Microsoft the Web Distributed Authoring and Versioning (WebDAV) repository to share XML document specifications and maps between different servers. 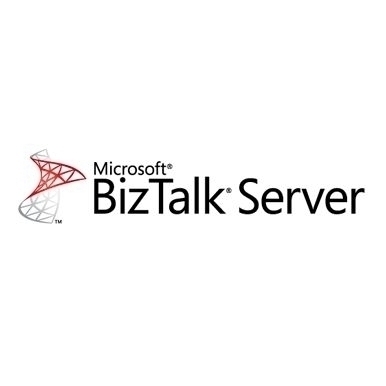 BizTalk Server uses SQL Server databases and SQL Server based queues to share information and to track documents that are currently being processed. Work queue: Contains documents which are being processed. Scheduled queue: Contains processed documents that can only be sent at a specific time. This makes it possible to process any other documents. Retry queue: Contains documents that has a transmission failure as well as documents that still need receipts. Suspended queue: Contains documents that had a processing failure. The different BizTalk Server components are discussed next. These are the components that make up the BizTalk Server architecture. Specify trading partner objects and characteristics. Create relationships between trading partner objects and the objects that you are currently using. Define document specifications by specifying records and fields. Import well-formed XML document instances. Use predefined specifications for UN/EDIFACT and X12 EDI documents, and SAP IDOCs and XDR schemas. BizTalk Mapper; used to map a document to another corresponding document in a different application. The BizTalk Mapper can map to non-XML formats as well. The BizTalk Mapper generates files that are in the Extensible Stylesheet Language Transformations (XSLT) format. The XSLT format is the World Wide Web Consortium (W3C) standard. BizTalk Document Tracking Tool; the GUI tool for tracking message activity, schedule activity, and for analyzing the system. BizTalk Orchestration Designer; the GUI tool for building dynamic distributed processes. Internet Information Server (IIS); provides the components for HTTP processing and ASP processing. MSMQ and COM+; provides COM based integration and the MSMQ receive functions, and transports. WebDAV; provides distributed access to documents schemas and maps. File Transfer Protocol (FTP); used to send files. Simple Message Transport Protocol (SMTP); used to send Internet mail. XML toolset; contains processing tools. BizTalk Messaging Management database; for managing groups and servers. Servers share common configuration information which detail document processing. BizTalk Shared Queue database; for managing documents and interchanges for the servers in the group. BizTalk Tracking database; contains information on document and interchange operations. You can use the BizTalk Tracking database to track and monitor the status of documents. Orchestration Persistence database; contains business orchestration information. Intended for smaller organizations that have minimal processing requirements. Provides the main functionality available on BizTalk Server. Runs on one processor, irrespective of the number of processors running on the actual server. Supports a maximum of five internal applications. Supports a maximum of five trading partners. Clustering technologies are not supported. Intended for medium to large organizations where high availability, scalability and flexibility are important factors. Supports an unlimited number of processors. Centralized processing queues are supported which enables computers to share the processing load. Supports an unlimited number of internal applications. Supports an unlimited number of trading partners. Supports the use of clustering technologies. BizTalk Server Developer Edition: The BizTalk Server Developer Edition has much of the characteristics and features of the BizTalk Server Enterprise Edition. The difference being that the BizTalk Server Developer Edition is designed to be used in a development environment. The minimum BizTalk Server system requirements are discussed in this section of the Article. Intel-compatible 300-megahertz (MHz) processor or above. Windows 2000 Server and Service Pack 1 or later, Windows 2000 Advanced Server and Service Pack 1 or later or Microsoft Windows 2000 Professional and Service Pack 1 or later. Internet Explorer 5.0 or above. Microsoft SQL Server 7.0 and SQL Server Service Pack 2, or SQL Server 2000 Standard or SQL Server 2000 Enterprise Edition. NTFS partitions should be used. Microsoft Visio 2000 Software Release 1a (to use BizTalk Orchestration Designer). Intel Pentium or compatible 166 MHz processor or above. 64 megabytes of RAM. The recommended RAM is 128 MB. 95 MB to 270 MB hard disk space. Windows 2000 Server, Windows 2000 Advanced Server, or Windows 2000 Datacenter Server. 80 MB hard disk space. Microsoft Windows 95 or above, Windows NT Workstation, or Windows NT Server 4 with Service Pack 4 or above. Preventing unauthorized access to data. Ensuring and maintaining data integrity. Windows Security: All Windows security features become available when you install BizTalk Server. You can use the Windows security features to provide security for your BizTalk Server implementation. SQL Server Security: You can use Windows authentication and standard SQL Server authentication to provide SQL Server security. BizTalk Server uses SQL Server standard authentication and Windows authentication (Mixed security mode). A firewall solution: A firewall is a system that implements the access control policy of the organization. By working together, the devices and technologies that make up the firewall solution protect the private network of the organization. Trusted traffic is permitted while untrusted traffic is blocked. It is recommended to have two firewall configurations to protect your BizTalk servers, provide high availability and eliminate single points of failure for your BizTalk Server implementation. The demilitarized zone (DMZ) should be located between the two firewalls, and the Web and DNS servers. These types of servers are called bastion hosts or bastion servers. BizTalk servers can be placed in the demilitarized zone, or on the corporate network. The SQL server should be placed behind the second firewall. When the BizTalk server is located in the demilitarized zone (DMZ), the DMZ servers have to use HTTP, message queue or SMTP. The SQL server should be located on the corporate network. Incoming messages have to move across the first firewall in order to access the BizTalk servers and across the second firewall in order to access the SQL server. When the BizTalk server is located on the corporate network, the BizTalk servers and the SQL server reside behind the second firewall. A BizTalk Server group is the grouping of BizTalk servers that operate as a single unit. A BizTalk Server group is therefore centrally configured and manaed. BizTalk Server groups provide scalability, fault tolerance and flexibility. A minimum of one BizTalk Server group has to exist for each BizTalk Server installation. Each BizTalk server must be a member of only one BizTalk Server group. You can though use multiple BizTalk Server groups in your organization. The Receive functions that illustrate and define how incoming documents should be handled and processed. The components (transport components, application integration components (AICs)) needed by the server to process documents and interchanges. Redundant configuration; any BizTalk Server group server can process a document. The downside of redundant configuration is that no load balancing is performed. Redundant configuration is easy to maintain. Specialized configuration; BizTalk Server group servers residing in the same BizTalk Server group can be configured differently. 88 queries in 0.424 seconds.